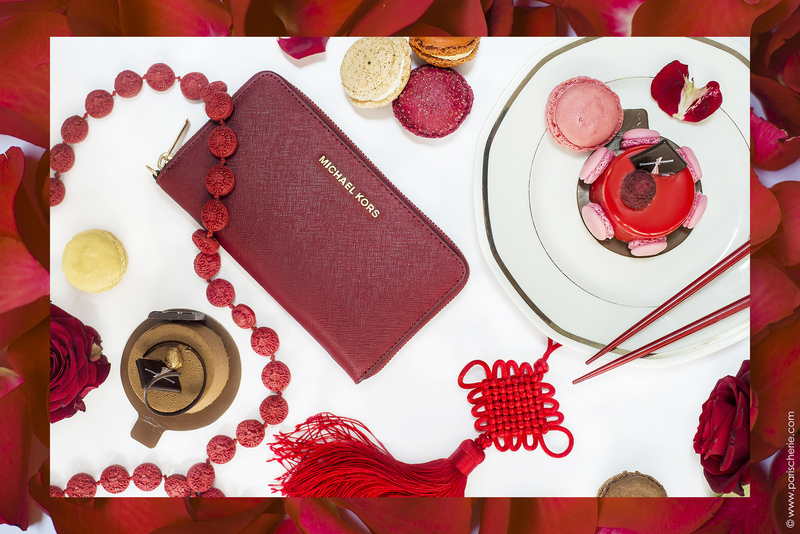 In celebration of Chinese New Year in Paris, I recently worked on an exciting project, together with ParisCherie.com in collaboration with Michael Kors. There was a lot of planning and preparation, location scouting and mood boards that went into this project, and I’m thrilled with the end result! We had a selection of bags in red, which symbolizes good fortune and joy, and gold, which symbolizes wealth, for the Lunar New Year. 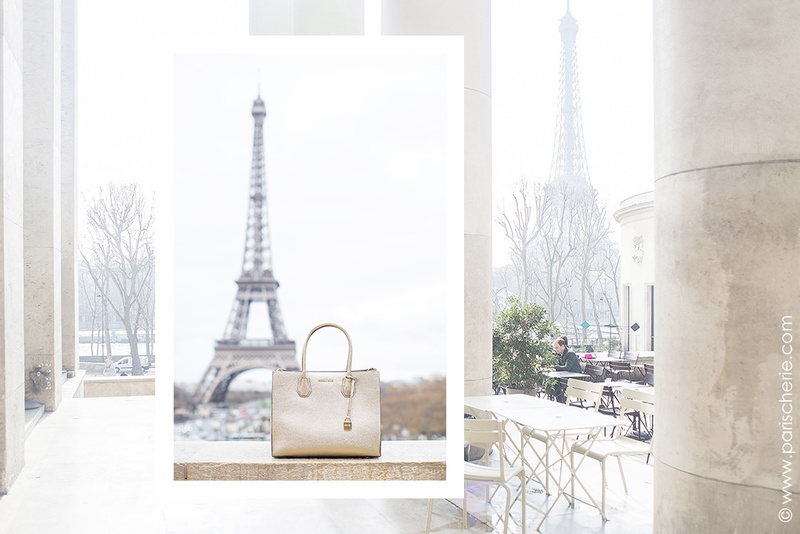 We knew that we wanted to show each item off in a beautiful Parisian setting, because we are in Paris after all! After scouting locations all over the city, we created a mood board to help express the concept of the shoot. Of course, when shoot day finally comes around you never know what will happen. 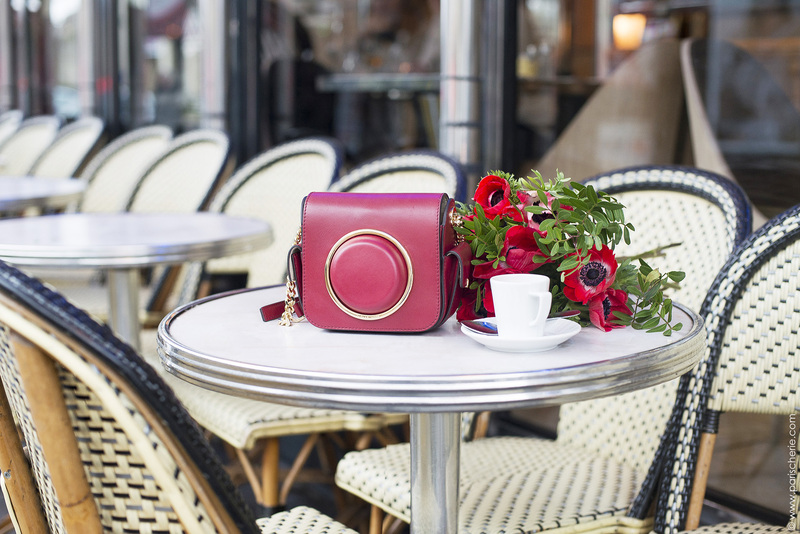 We arrived at the Michael Kors boutique on rue Saint-Honoré first thing in the morning to collect the products and then off we went to our first location. If you follow me on Instagram, you know I love a pretty, Parisian door, and this beautiful blue door located in the Saint-Germain neighborhood is one of my all-time favorites. 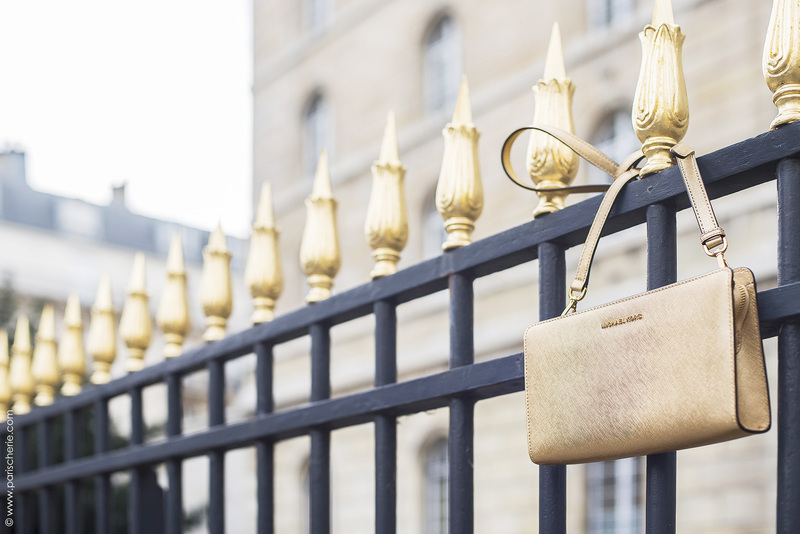 Next, we walked over to Saint-Sulpice to shoot the crossbody bag. I love the gold detail on these iron fences, which you can actually find all over Paris, including along the Avenue Montaigne. We chose what is probably the most famous bridge in Paris, the Pont Alexandre III, as another location. The view is amazing and the architecture is really something to see. While running from one location to the next, we were also trying to deal with rapidly changing weather conditions. One minute the sun would be shining, the next clouds were rolling in. While I prefer overcast skies for shooting, never direct sunlight, our fear was that it was going to start pouring rain on all of these gorgeous bags. Of course there are always challenges when shooting, and as much as you can prepare sometimes the weather doesn’t cooperate or a location just isn’t working and you have to improvise. Although it wasn’t initially on our location list, when you think of Paris, the Eiffel Tower is almost always one visual that comes to mind immediately. Taking a quick break for a coffee at a nearby café, we waited out the rain and managed to get our shot! Finally, I created a flat lay for the wallet/phone case, wanting to combine some Chinese details with Parisian elements and of course, lucky red. Although it was a lot of work, this was such a fun project to work on. Getting to spend the day photographing pretty bags, I can’t really complain, right? If only I got to take one home with me…! 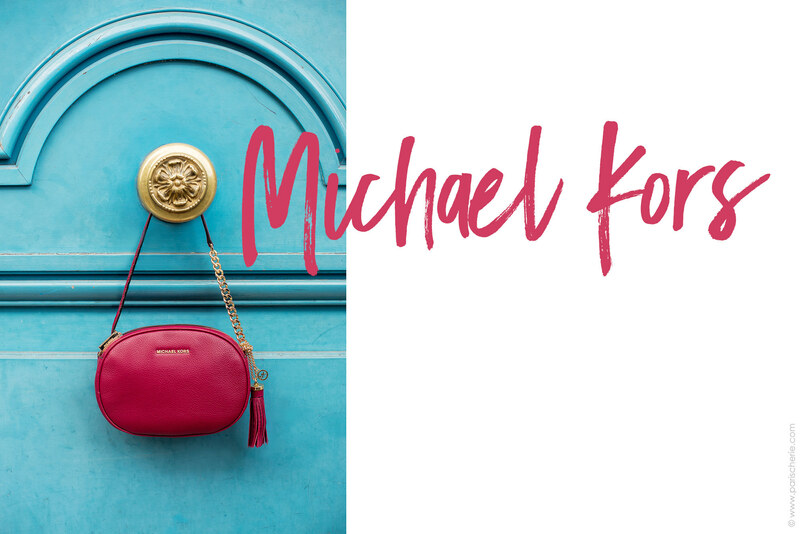 For details on all of the items photographed and to read more about Michael Kors and Chinese New Year, head over to ParisCherie.